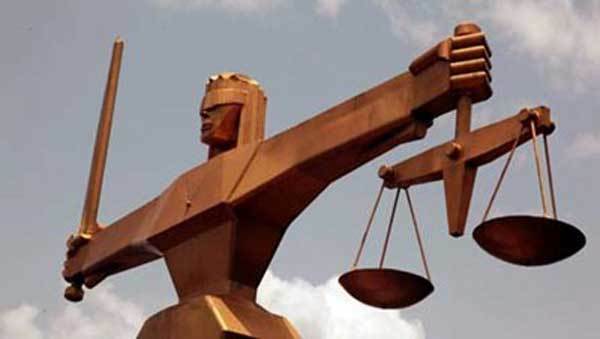 The Delta State Chief Judge, Justice Marshal Mukoro has set free from prison, a 27-year-old man, Woti Federal, who was incarcerated for allegedly stealing two bunches of banana estimated at N7,000 in Bomadi area of the state. The suspect had been in the Warri Prison since January 7 over the said offence, DAILY POST can report. The CJ ordered the release of Federal when he visited the prison in Warri on Tuesday. He argued that, “There are people who stole billions and are walking freely”. Justice Mukoro thereafter threw the matter opened before the Nigerian Bar Association, NBA, the Nigeria Police Force, Department of Public Prosecution, DPP, and other lawyers present at the prison yard. A representative of the NBA in Warri, Mr. Michael Asugo Esq and DSP Irabor of the legal department of the Nigeria Police Force, Area Command in Warri, pleaded that the inmate be released. Justice Mukoro promptly ordered the release of the inmate from prison custody, with a stern warning that he should not commit crimes again.